Further great news. 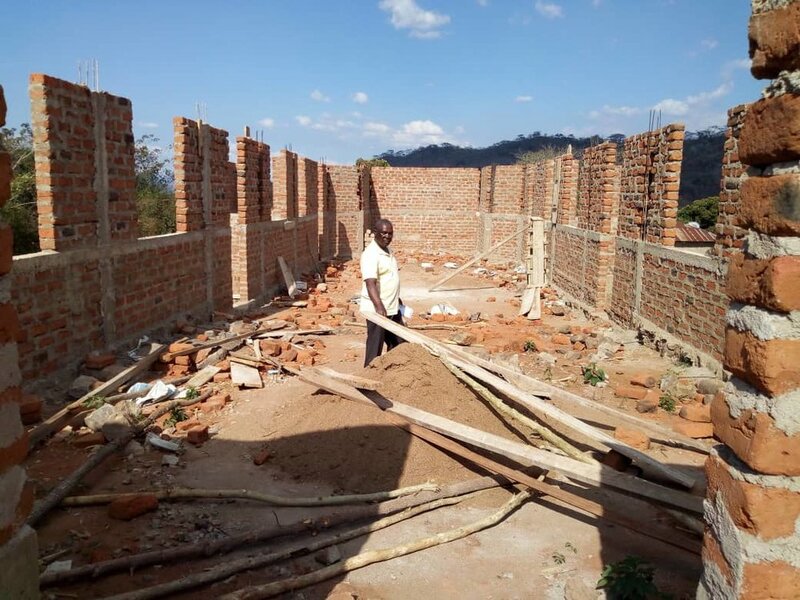 More progress has been made with the walls and thanks to the fund-raising activities of our supporters MM has been able to send a further £1,500 to purchase materials for the roof. 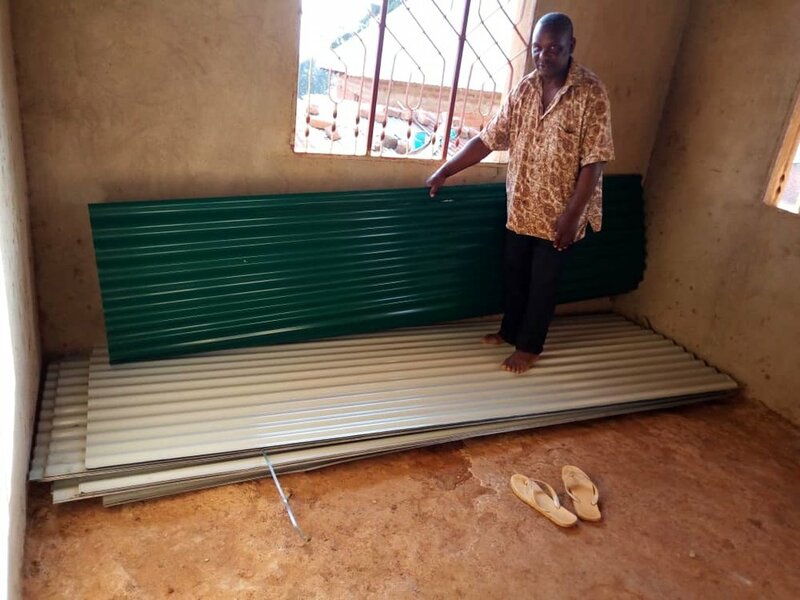 The picture below shows a small number of the 140 metal roofing sheets, stored safely in the home of a church elder. We are now working towards covering the cost of £2,000 for the timbers and labour to complete the roof. We are delighted to report excellent progress with the rebuilding work. In June of this year, thanks to the generosity and hard work of our supporters, MM was able to send £3,000 to Tunguli. This has allowed the foundations to be completed and the walls built up to window level. The pictures show the walls almost complete with only the ring-beam around the top of the wall to be added. But there is much to do. 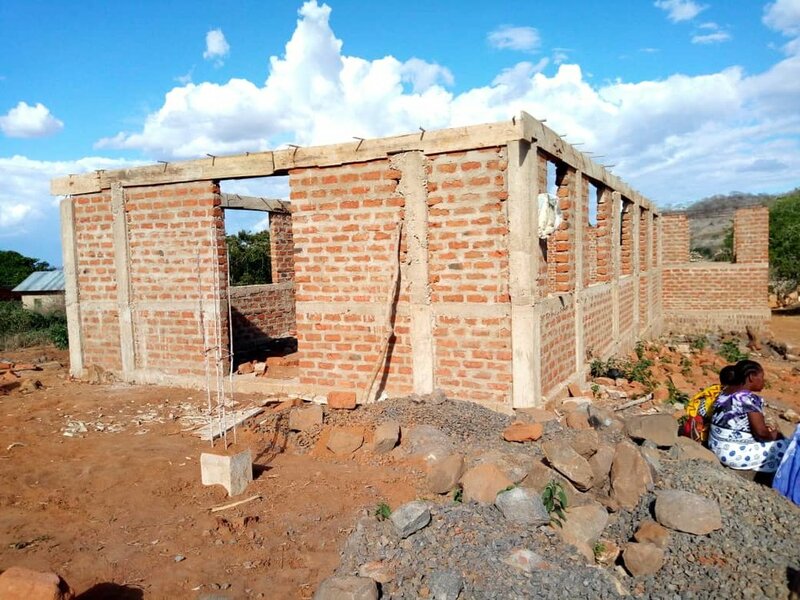 The sum needed to complete the walls, add the roof and finish the building interior is £11,000 so fund-raising continues. MM trustees visited Tunguli in August and the villagers send their greetings and heartfelt thanks. We are appealing for your help to rebuild the Anglican church of St Elizabeth in Tunguli. The church, which has a congregation of more than 250 people, was destroyed by a bad storm in 2016. 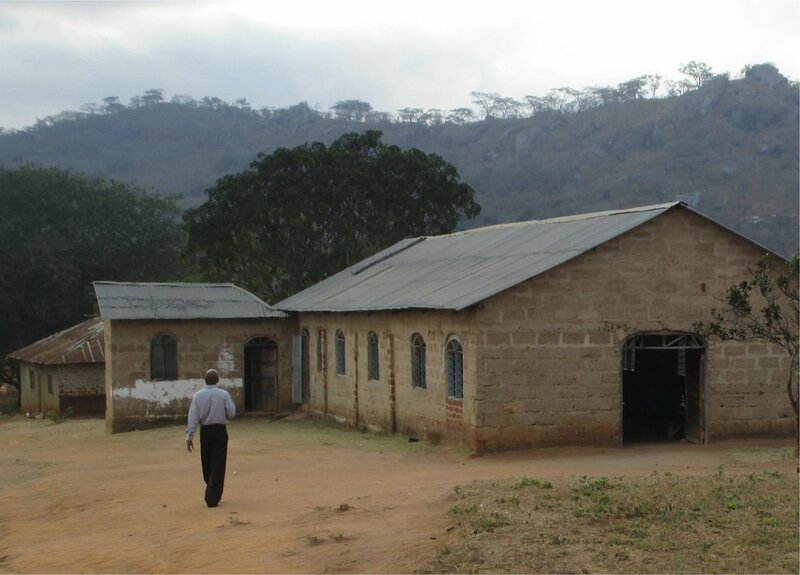 The community is doing its best to construct a strong, new building but needs our help. The total cost of this project is less than £15,000 but this is a huge challenge to people who earn only £1 per day. So far the villagers have managed to raise around £1500 and are at the foundation stage of the build – they have no other support. The churches of the Wychebrook and Bowbrook benefices in the Anglican Diocese of Worcester are making an extended Lent appeal. They are running events and other fundraising projects, for which we are very grateful. But we need your support too! These are the words of Rev Dickson Dyahila, pastor of St Elizabeth’s Church. It was 7th February 2016 when our church fall down after heavy rain and a storm attacked our village. It was a sad day for everyone who came to that place where the building was. But we thank God that people would not give up and joined together to build a temporary hut whereby people will continue to worship our Lord while the process is taking place. We started to build that temporary hut as you can see which took four days to finish. ... but open to the weather. After that we started a plan of building a permanent and a strong church. People started to contribute their money and their power and they started to building the church to the stage as you can see. We are sure that our Lord won’t leave us alone hoping that on October this year 2018 we will be worshipping in our new building. May the Lord God bless you all our friends for your contributions and prayers to make sure that the house of God is built up for his people to worship in.